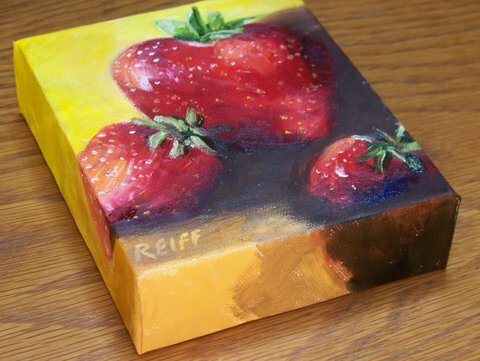 Lee Reiff Paintings | Sharing the beauty of the world. I like to juxtapose motion and stillness…waves against rock or fields rushing in the wind around an old barn. Most painting are framed. Those with an asterisk (*) in the name are unframed and painted around the edges of the canvas. Fruit and veggies may vary and can be custom ordered (assuming in season).